About 330 million people are affected by drought in India this year. The concern is about the impact of such drought on affected communities - people dying due to heatstroke, livestock wasting away, crops failing and an acute scarcity of water to meet basic survival needs. Yogita Desai, a twelve year old girl, is one of the victims from western Maharashtra, who died 500 meters away from home while gathering water on a Sunday morning. As many as 116 farmer suicides were reported due to the unfolding agrarian crisis, with maximum cases being reported in Orissa, Maharashtra, followed by Punjab and Telangana. 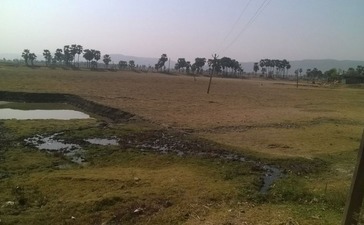 More than 10 states have experienced prolonged periods of abnormally dry or unusually hot weather that threaten the availability of water in India. This trend is projected to continue over seasons and will further impact communities, in the absence of drought resilience measures and emergency/recovery aid. This program envisages an immediate recovery as well as an enhanced ability to respond to immediate and future impacts by building assets through community engagement. IGSSS is implementing programmes with 45 partners across North, West, East and North-eastern India, with a rural focus on reducing food related insecurities, creating models for climate change adaptation, strengthening of community based organisations through convergence and other capacitating efforts, largely through farm and off farm related work with socially marginalised small and marginal farmers. 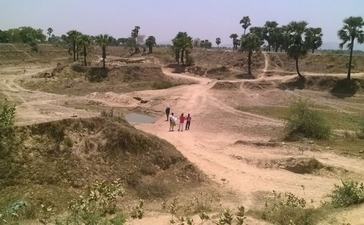 There are obvious synergies that the ongoing programming can contribute towards immediate response to drought in Orissa. In the programme, IGSSS would intervene in 15 villages of Orissa where drought has severely affected the communities and their coping capacities. Creating a culture of prevention and making communities resilient in 15 villages. Water for me is a privilege. I can get it from a refrigerator nearby or a purifier or even I can buy it. It is a privilege. And it is for many of us. But for Shanti Lata Behra water means survival. For her and her community it is a struggle of more than four hours. Twice a day. Badasahi is a village on the edge of Lake Chilika in Ganjam district in Odisha. Its only source of potable water is a government supply which comes once in 15 days. For the rest of the days people, mostly women, have to walk quite a distance crossing an unmanned railway gate to fetch water. They have to wait for their turn and once the upper castes women leave, they begin to fill their utensils. This photo blog captures their daily struggles. An old woman carrying water in an aluminum pot. 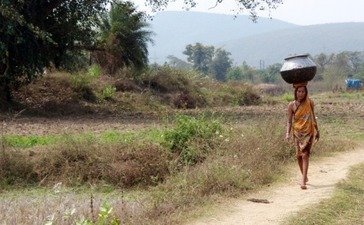 She walks everyday more than a kilometer to fetch water for her home. The only source of water for Badasahi Village. Women say they feel lucky when the supply comes as they don’t have to go across the railway crossing. They come early in the morning with all their utensils and wait for their turn. One by one these women get down in the pit and patiently wait for utensils to get filled. A young girl patiently watches as the water fills the utensil drop by drop. It takes hours to get one’s supply filled. Out in the scorching heat women even can’t take break fearing the water will be spilled. On most days when supply water does not come they cross this railway track to get water. More than 130 talukas in 256 districts in 10 states of the country have been declared drought-hit. 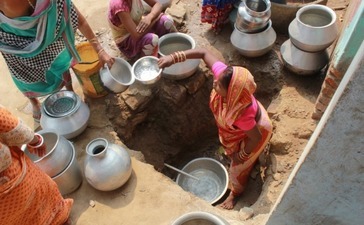 The highest number of villages hit by the water shortage–42,829–was reported in the Madhya Pradesh state in central India, followed by 29,077 villages in the eastern state of Orissa and 22,759 in Karnataka in the south. 33 crore people in these 256 districts are affected by drought which is 25 per cent of the total population of our country. These include 30 million people in Karnataka, 36.9 million in Maharashtra, 16.7 million in Orissa, 23.5 million in Andhra Pradesh, 17.8 million in Telangana and 99 million in Uttar Pradesh. Bihar: Visit to the Bihar based livelihood partners, requires one to travel or rather transect the region from north to south crossing the river Ganga to reach places such as Bettiah (W. Champaran), Sakri (in Madhubani) to Rajgir (in Nalanda) and Barachatti (in Gaya). Not only the dialects but the also the topography reflects a sharp departure, from comparatively greener Mithilanchal in North Bihar to the visibly rocky and parched Southern Bihar plains. But there are a few things, besides being on the either sides of the river Ganga, which unites the fate of the two geographically diverse regions. 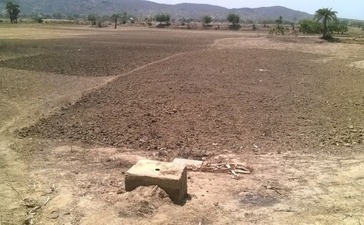 These are the plunging water table and the hopes for good monsoon. (Last winter, it did not rain that much. 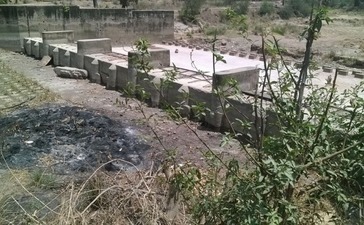 The Ahar (river based reservoir) and pond’s water is all drying up… We do not have water even to give ceremonious offering of water on the last Chait Chhat (a local festival). -shared one resident of Neyar village, in Rajgir. (It roughly meant “Sir, we are fighting against odd, banking on a good monsoon for harvest… If the water in the wells dries up, we won’t be able to continue agriculture as a means for survival”), says another resident of Rohi Village of Barachatti of Gaya District. The water level has gone down to the level of roughly 200 feet below the ground. Almost half of the government allotted hand pumps are dysfunctional now, as reported by our project partners. 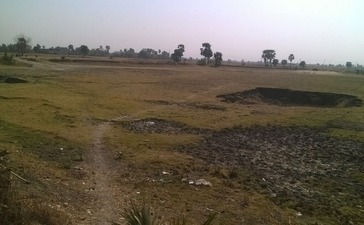 Northern Bihar is placed in a relatively better situation, but not enough to let the community of Sadai- Mushars to start fish culture in the community pond in Sakri, Madhubani. They must wait for the next rain so that they do not have to stretch their finances on watering the ponds for an early harvest. The individual excerpts are a reflection of the grimier situation the country is facing in the wake of one of the worst drought in decades and this calls for immediate response. IGSSS as part of its sustainable livelihood programme is working towards providing relief to the affected communities. A step in this direction has already been initiated; IGSSS has activated its Emergency Response Team. The team is gathering relevant information from the field to plan its next course of action in the worst affected districts. Contribute to IGSSS Drought Relief Fund. IGSSS will use your contribution to provide relief to people affected by the disaster. Indo-Global Social Service Society (IGSSS) is a non-profit Indian national development organization working in 92 districts in 22 states of India. In FY 2015-16, we reached out to 124,692 families through our programs in Sustainable Livelihood, Urban Poverty, Disaster Risk Reduction, Gender Equity and Youth Development. Under these programs, 92% of targeted families belong to Scheduled Castes (SC) and Scheduled Tribes (ST) and Other Backward Communities (OBC). IGSSS with its direct implementation programs and with the network of grass root NGO partners is present in 1,041 villages and 168 slums. Established in 1960, IGSSS works for development, capacity building and enlightenment of the vulnerable communities.